Lake Tahoe shoreline. Photo courtesy of LTVA. When it comes to entertaining wedding guests in the summer, a destination wedding in South Lake Tahoe is a brilliant move! Trees and flowers dot the landscape with color, and Lake Tahoe is at her deep blue finest this time of year. And there are so many fun things to do! Expect some very happy guests when they discover you’ve chosen South Lake Tahoe as the perfect location for your wedding. Plan to gather helpful information on available activities ahead of time, so your guests can pack appropriately. Some Lake Tahoe summertime activities may require certain clothing or gear — think paddle boarding or hiking — and you want your guests to be prepared. Hotel staff at your wedding venue can be a great source of information on summertime activities. You can also check out the website for South Lake Tahoe Visitors Authority. The M.S. Dixie II paddlewheel boat, available for daytime cruises, dinner cruises, and private charters. Photo courtesy of Lake Tahoe Cruises/Zephyr Cove Resort. If your wedding is during the summer or early fall, your guests will enjoy a wide variety of activities — all in the general area of South Shore. For the water-loving members of your group, it doesn’t get much better than Lake Tahoe for water sports. Take a sailboat or powerboat out and enjoy a tour of the lake at your own pace. Your guests can rent standup paddleboards and have a try at one of the hottest watersports around, or glide silently through the brilliant blue waters of Lake Tahoe in a kayak. For those who feel the need for speed, nothing is more fun than zipping around Lake Tahoe on a personal watercraft. Zephyr Cove Resort and Beach Retreat & Lodge at Tahoe rent water sports equipment from their onsite marinas for you and your guests to enjoy during your time in Lake Tahoe. 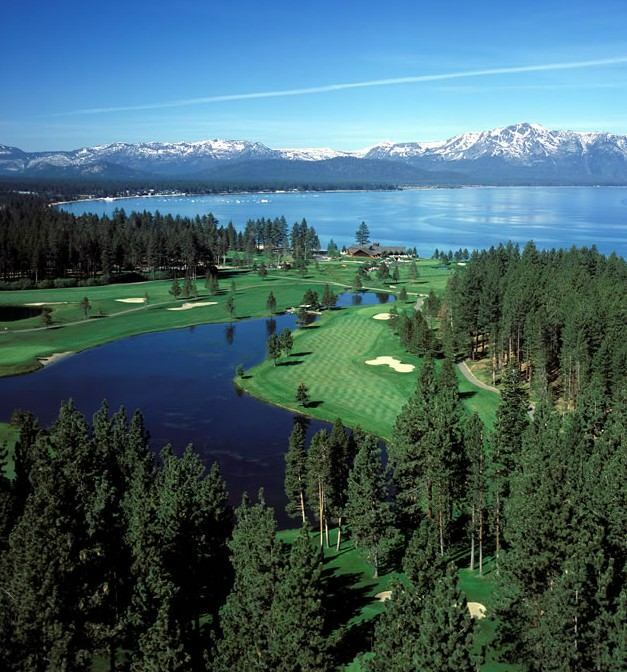 The Golf Course at Edgewood Tahoe has been consistently selected by Golf Digest as one of “America’s 100 Greatest Public Courses.” Photo courtesy of Edgewood Tahoe. The summer and early fall seasons are also a great time to take in the sights around Lake Tahoe on a boat cruise with Lake Tahoe Cruises. Whether you choose the M.S. 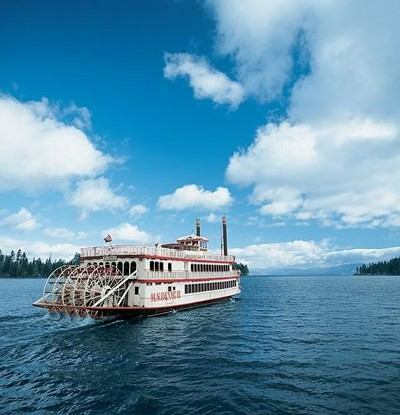 Dixie II paddlewheel boat or the Tahoe Paradise yacht, you’ll experience a tour of the lake unlike any other. Your guests can rent bicycles for an easy way to enjoy the outdoors. Or they might opt for horseback riding away from the crowds. 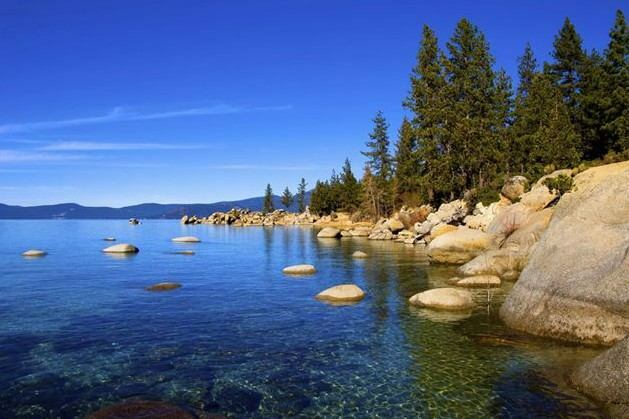 The South Lake Tahoe area boasts incredible hiking and biking trails, as well as scenic beaches perfect for an afternoon picnic. Golfers in the group can choose from several incredible courses nearby, including Edgewood Tahoe’s acclaimed 18-hole course. There’s even great shopping for those who love to bring home a treasure or two from their travels. When you plan your destination wedding in South Lake Tahoe, your guests will have plenty of exciting stuff to do — or not do. Sometimes it’s nice to just pull up a beach chair and relax. For more information about planning a South Tahoe dream wedding, check out the Lake Tahoe Visitors Authority (LTVA) website.